When we said Rinjani is our ultimate source of inspirations, we’re really meant it. Well, maybe some of our old folks remember, Rinjani’s Popo was well-known for his grungy-distortive-rustic style designs since a long long time ago. And I’ve been a *uhuk! * fan girl *uhuk! * of his doodle arts. There’s something about his child-like perspective in creating his works. All of a sudden, there are papers everywhere. Scribbles everywhere. Doodles, strange animals, weird looking princesses, absurd shapes, funky colors. And our sketchbooks are full of doodles ever since. Lots of doodles. And the funny part is, Ing’s child-like artworks became more and more childish, since Rinjani is around LOL. Instead of influencing her daughter to draw properly, he was heavily influenced by her daughter to make even more ‘childish’ artworks. Look who inspires who now. It was fun, though. Very very fun. I’m so happy to see my favorite artist is back with his scanner and printer and Photoshop, as much as i’m happy to get some high quality artworks to print on fabrics and to cut & sew into wearable arts for Rinjani. 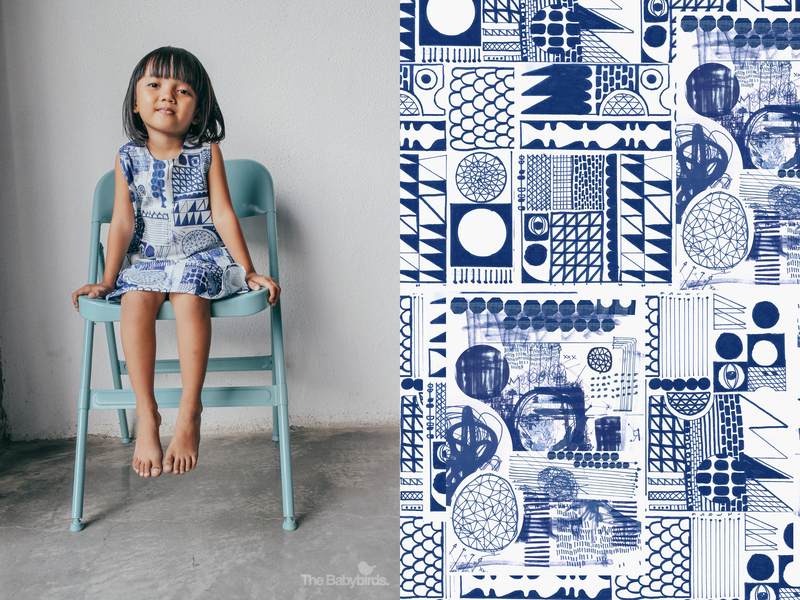 Below are some of high quality artworks made by Rinjani in collaborations with her Popo, printed on basic dresses. 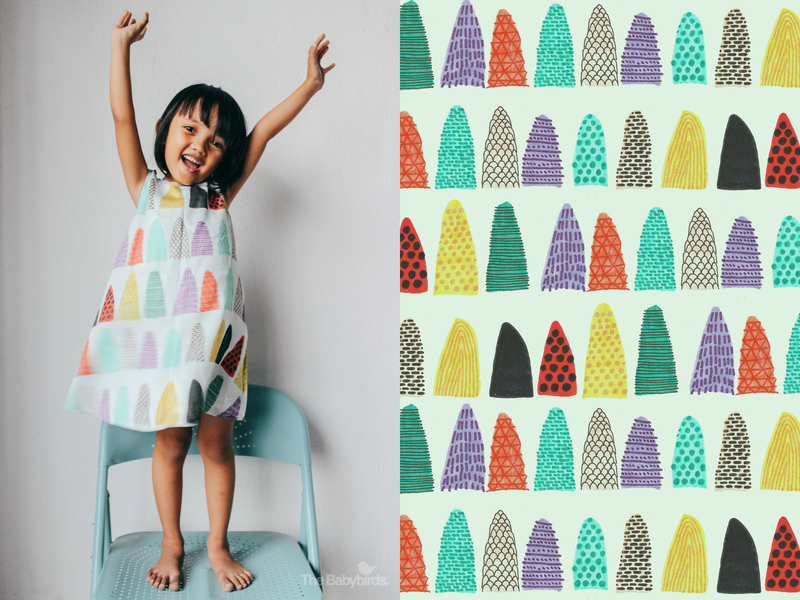 All of the patterns are named after mountains all over the world, just like Rinjani’s name. All these 3 artworks are now available for purchase in basic dresses. Send your order to hello@thebabybirds.net. Please note that most of our products are hand-made. Any irregularities are not considered devectiveness, as they are the nature of hand-made products. 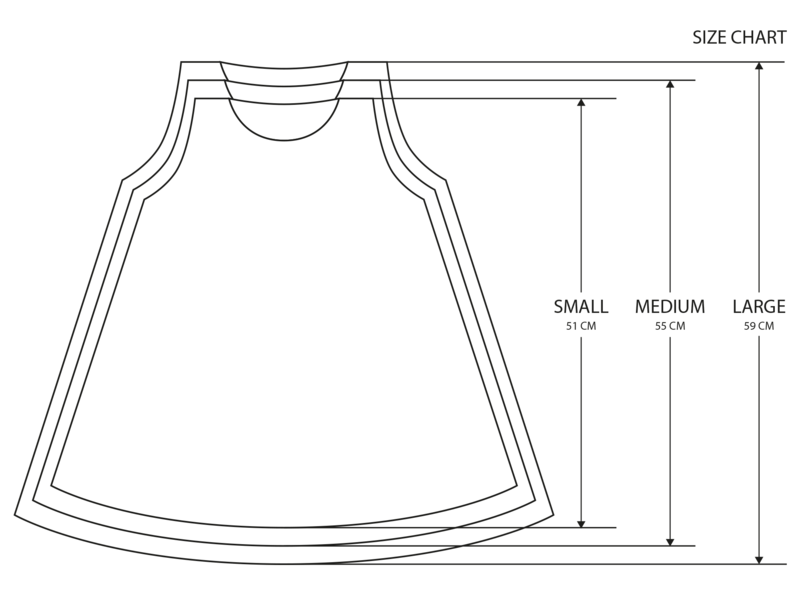 Please also check the size chart below carefully before placing your order. Wiii, congrats untuk launching koleksinya! 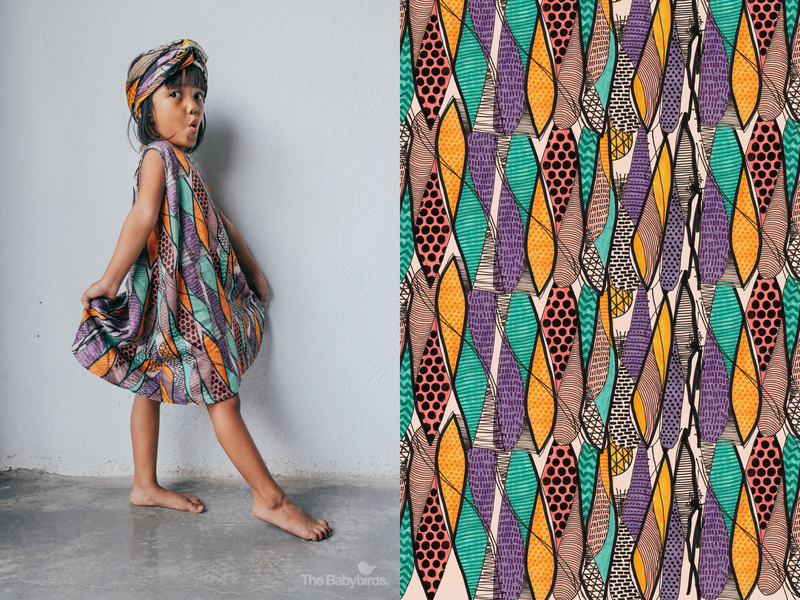 Pattern Mikeno dress ngga dibikin scarf? Lucu banget lho itu dijadiin headscarf. makasih Niin :D iya emang mau dibikin scarf kok, tungguin ya? yah, kependekan deh buat aina. bisa beli kainnya doang ga, trus kami jahit sendiri? hihihi… *keep trying*.